Note: Just in case, I will include a SPOILER WARNING as I do reveal some plot points. There’s seemingly a Nicholas Sparks’ novel-to-film adaptation every year and the latest, at least until The Longest Ride and The Choice come out in 2015, is The Best of Me, an uber-schmultzy romantic-drama which basically combines all the Sparks’ tropes and clichés. The film opens with a man named Dawson Cole (not James Van Der Beek but JAMES MARSDEN) working on an oil rig when all hell breaks loose and it blows a gasket. 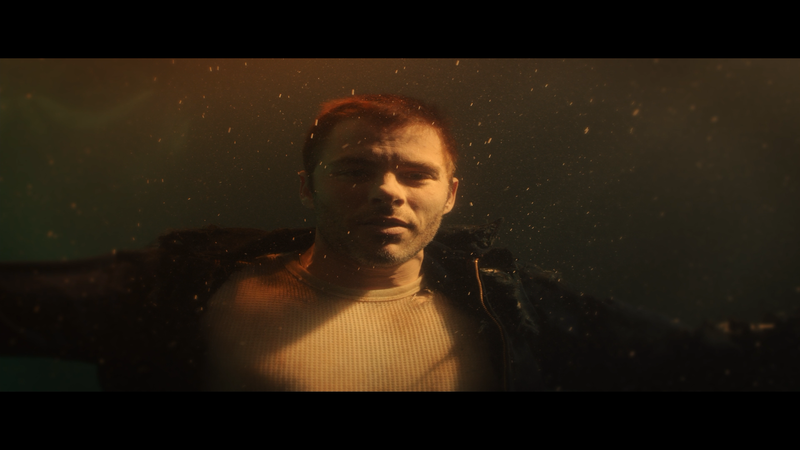 Being the hero he is, Dawson rescues a couple co-workers before being blown into the water many stories below. Alright, he does manage to survive much to the surprise of his doctors with nary a scratch. At the time he was looking up at the stars, we then meet Amanda Collier (MICHELLE MONAGHAN), a housewife and mother of two, who is I guess looking at the same set of stars. Months later, separately, Dawson and Amanda receive a phone call from a lawyer informing them an old friend, Tuck Hostetler has died and he requests them to come to their home town for the will to be read and assets distributed. As we learn, via a storyline told in flashbacks, Dawson (LUKE BRACEY who looks more like James McAvoy than James Marsden) and Amanda (LIANA LIBERATO) were once boyfriend/girlfriend and very much in love. We see how they meet and, as in any of these rom-dramas, a bit of class warfare with Amanda coming from a well-to-do family while Dawson lives with a bunch of abusive assholes led by his father (SEAN BRIDGERS). 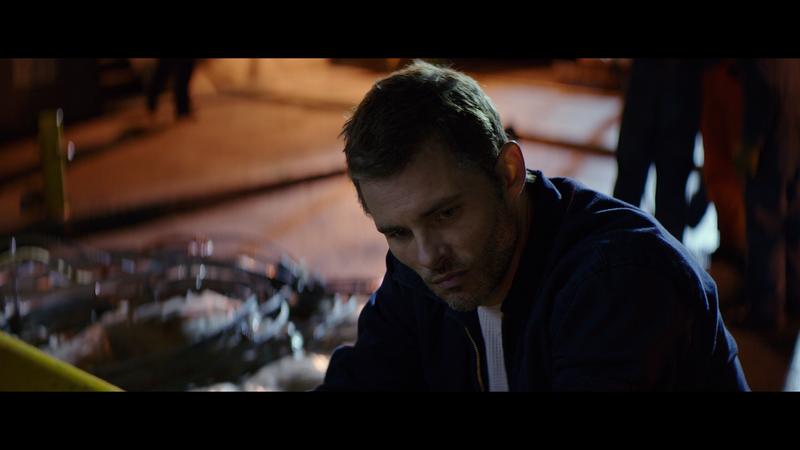 To escape the abuse, Dawson breaks into Hostetler’s (GERALRD MCRANEY) garage and after being caught, and sporting a nasty black eye, allows him to stay in exchange for doing some work around the property. However, good old Pa Cole and his two jackass sons drop by intending on taking Dawson home but Tuck defends him scaring them off, afterwards, he invites Dawson to stay inside and thus Tuck became a surrogate father. All of this is intercut to the present day as the now older Dawson and Amanda meet again for the first time in 21 years with still hurt feelings on Amanda’s part, as revealed in the flashback storyline, but the pair are cordial enough though there is still a spark between the two. The will reveals that Tuck’s home and belongings are to be sold and donated to charity while a beloved cottage is to be co-owned between the pair. So Dawson and Amanda prepare to carry out his wishes with Amanda wanting to get it over with and return home, but we all know what happens next: they begin to open up to one another and, visa vi letters written by Tuck to both of them, explore a possible romance in spite of the difficulties, namely for Amanda with a family back home; though it’s clear her marriage is one of convenience with an inattentive husband (JON TENNEY) more focused on his work and golfing with his buddies. As you can tell, The Best of Me is the typical tripe one would expect from a Nicholas Sparks’ movie (since Safe Haven has become producers of these movies) except this time we have to contend with two actors in Marsden and Monaghan who don’t really have much chemistry with one another and, as twist endings are to M. Night Shyamalan movies, tragic/sad endings permeate Sparks’ adapted flicks. On the plus side, I actually didn’t mind the younger actors who, by comparison anyway, have a bit more chemistry though all of it is crushed with the all-too-familiar abusive father storyline and even the “you’re no good for my daughter” routine that I’ve seen in so many films (Footloose and Endless Love, both originals and remakes), more often done with better actors. The Best of Me was helmed, with some gorgeous (and overly romantic) cinematography by Oliver Stapleton (One Fine Day, The Proposal), by Michael Hoffman (The Last Station) and the direction itself wasn’t bad but he really didn’t have a whole lot to work with given the predictable story. It also doesn’t help the two leads have stilted dialogue and early on their deliveries of said lines were near cringe-worthy (nowhere near what was in Left Behind thank goodness). It’s a typical plug-and-play direction but except for Hollywood’s top brass, no one could’ve saved the script. This release comes with a semi-matted slip cover. Inside is a redemption code for the Digital Copy. “Tears of Joy” Version (1:55:55; HD) – This one has an alternate ending, which indeed is vastly different, and is about two minutes shorter. Somehow, as much as I loathed the theatrical ending, this one was just dumb. And interestingly, the title at the beginning indeed is The Best of Me: Tears of Joy. Audio Commentary – Director Michael Hoffman provides a succinct and informative track giving out details on making the movie and working with the various actors. 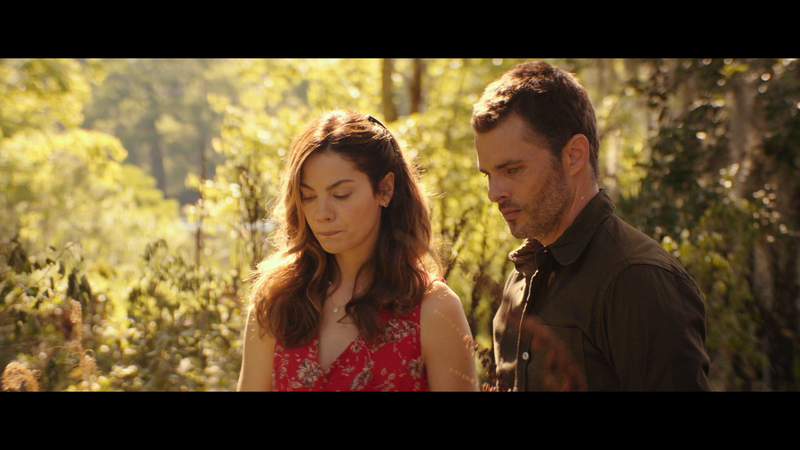 Nicholas Sparks Interviews: Michelle and James (2:47; HD) where the author asks questions of stars Michelle Monaghan and James Marsden about the script and characters. Nicholas Sparks Interviews: Liana and Luke (2:18; HD) is more of the same, just the younger versions. Deleted Scenes (9:46; HD) – There are five scenes included but nothing of note, more filler to an already lengthy film (well, felt long anyway). 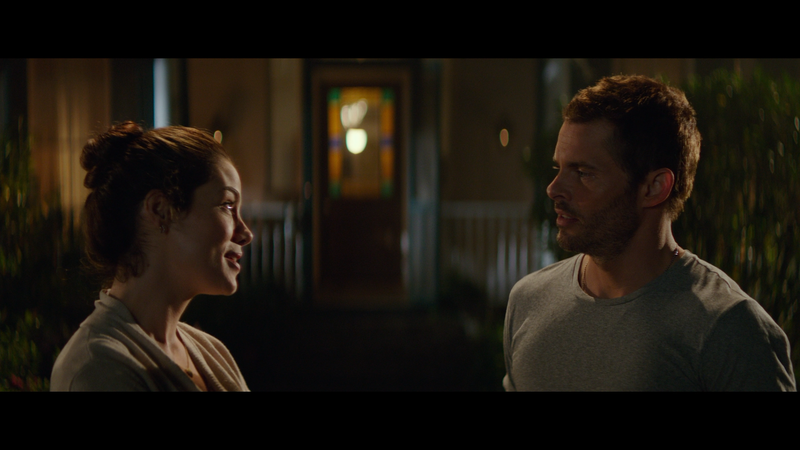 Along for the Ride (1:53; HD) is a promotional featurette for The Longest Ride. 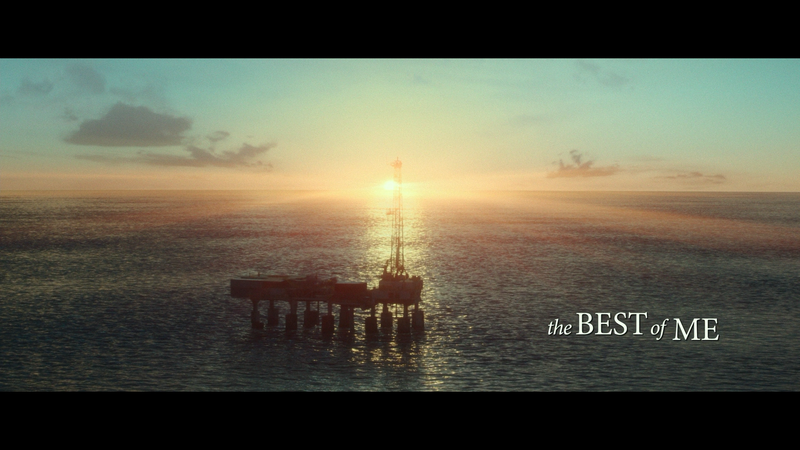 The Best of Me glances up at the stars to the Blu-ray constellation presented in its original 2.40 widescreen aspect ratio and a 1080p high-definition transfer. The picture isn’t anything amazing but does include good detail levels and colors tend to be nice and bright. Darker scenes also look decent showing no major instances of artifacts or aliasing. It’s a perfectly satisfactory looking video. Similarly, the DTS-HD Master Audio 5.1 track available gives nice, crisp and clear dialogue mostly from the center channel while ambient noises, off-screen elements and the generic dramatic score are mostly relegated to the front and rear channels. Although not a remarkable lossless track, it does serve the movie well with some OK depth. Overall, The Best of Me is the typical Nicholas Sparks tripe that was permissible in his earlier adaptations (still like The Notebook in spite of a few flaws) and now we get the template and a predictable story capped off with a chuckle-worthy conclusion which only had me cursing at the screen. The Blu-ray released by Fox doesn’t have much except for a respectable commentary, some deleted scenes and a set of throwaway promotional featurettes.